This product has definitely been my motivation to head outside and walk around. I love being able to see how many steps I have done for the day as well as a running total. I tells you by the mile as well. It also tells you how much calories you have burned off by walking. 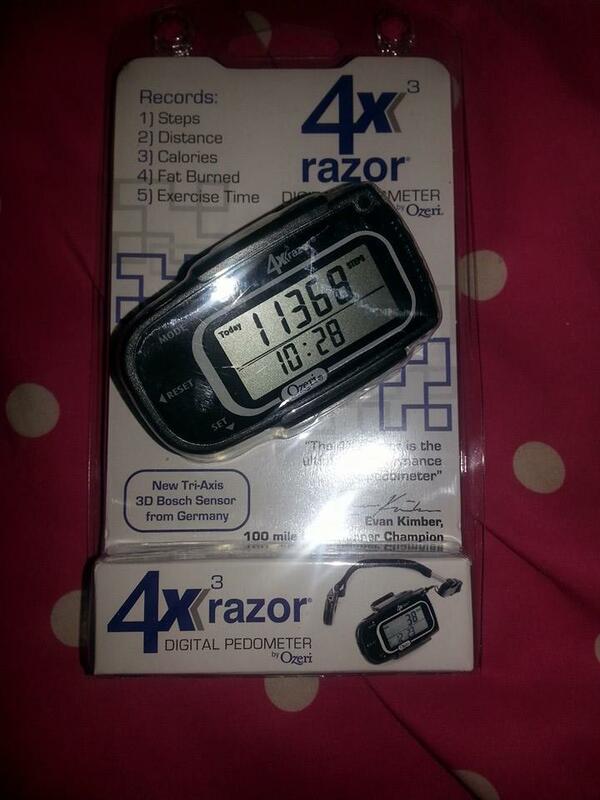 I have been using it for 7 days and it says I have walked over 17,000 steps not the best but pretty good considering. Some people have asked is it like those cheap ones where all you have to do is shake it for the numbers. It really works and the numbers do not go up when you shake just when you are walking normally. I just love this product and it will keep motivating me to be more active and possibly start exercising more often to lose so weight. This entry was posted in 2014 Holiday Gift Guide, Reviews and tagged #2014holidaygiftguide, #holidaygiftguide, #holidaygiftideas, adult, Birthday, birthday gift, exercise, health, healthy, HGG, holiday, Holiday Gift Guide, holidays, motivation to excerise, ozeri, pedometer. Bookmark the permalink.